Welcome to GemologyOnline.com forums board. Please be advised that this is NOT a consumer's forum. 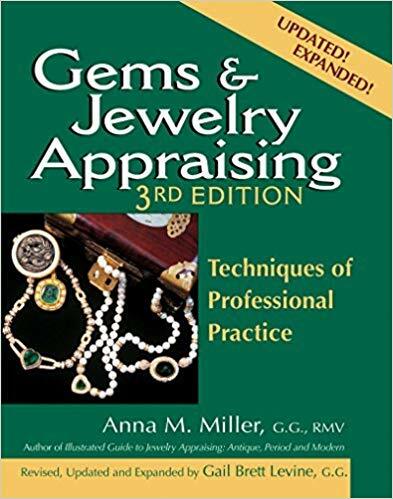 It is intended for gemologists, students of gemology, gem & jewelry appraisers, lapidaries and industry professionals. 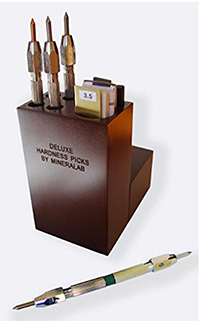 By uploading materials both text and graphics to this website the user (you) is granting a nonexclusive license to the website owners to display the materials in perpetuity. If you do not want your posts copied by others, don't post them. GemologyOnline will take no responsibility for any future claims of copyright infringement. 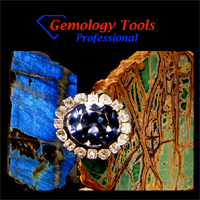 You agree any content you post, submit, contribute or otherwise provide to the Gemology Online is not protected by someones copyright, trade secret, patent rights or any other intellectual property rights, or by privacy rights. We restrict you from distributing information from more than 10 pages (excluding images). For any image you require special permission. Any use for commercial purposes is prohibited. To refrain from posting, sending a personal message, or sending an email though this board that contains insulting/inflammatory statements that personally attack a member, their family, and/or their children. You may not bait, stalk, or harass other members. You may not use this forum to solicit forum members through personal messages. Any thread or post that is either reported or deemed by admin to be offensive will be locked and/or moved and possibly deleted. Locking/Moving or deleting threads is done at the sole discretion of the Admin and Moderating team. You are forbidden to disclose or hint the contents of a PM or E-mail of any current or past member without their express permission. You are forbidden to disclose any information about a member without their express permission. Disclosing this information will result in a permanent ban. Members are solely responsible for their words, GemologyOnline will not be held accountable for the opinions stated by its members. Members are reminded that any advice they take from other members is done so of their own free will and with no endorsement from GemologyOnline. Post's and photographs belong to the member who wrote them. Please seek permission from the author before replicating them elsewhere. If members require the deleting of their posts they should request deletion from Admin. Admin will not provide bulk deletions. It is up to each individual member to ensure that their email settings are as they require. All members by default will recieve Admin emails. If you do not wish to receive emails it is up to you to log in and change your preferences. If you can not or will not do this your account will simply be deleted entirely. There will be no racial, ethnic, religious, gender based insults or any other personal discriminations. There will be no posts or PMs meant to offend or hurt any other member, in a manner which is offensive or inflammatory. Spamming is not permitted; please keep all your posts as constructive and informative as possible. Overt self promotion is considered SPAM. All posts are property of the poster. This forum and all web sites owned in conjunction with this forum have the right to request alteration or deletion of any offensive post. Posts may be deleted for any reason the forum administrators deem reasonable. Please try to keep images in your profile to a minimum file size to accomodate for dialup members. We want everyone here to have an enjoyable experience, and images that have excessive file sizes cause undue problems for those without broadband. Please keep foul language to a minimum, any excessive un-called for language will be removed and you will receive a warning. If a topic is recognized as being posted in the wrong forum, or if the post is a violation of our guidelines then please contact a moderator via PM; please do not respond publicly to the member - a member of staff will do what is required upon contact. Do not list credentials or industry affiliations which can not be verified. If you are not using your real name as your handle, credentials and affiliations are meaningless and will be removed by our moderating or administrative staff. The Admin has the right to remove members who are harassing, baiting, stalking, spamming or trolling other members or the site. This will be done at the sole discretion of the administration. The Admin and moderators have the right to remove, edit, move or close any post and/or thread for any reason. We also reserve the right to change our Terms of Service and rules at any time, with no notification to the members of this site.